so you want to be a sommelier? : Isabella of Ar. Pe. Pe. is on I'll Drink to That! 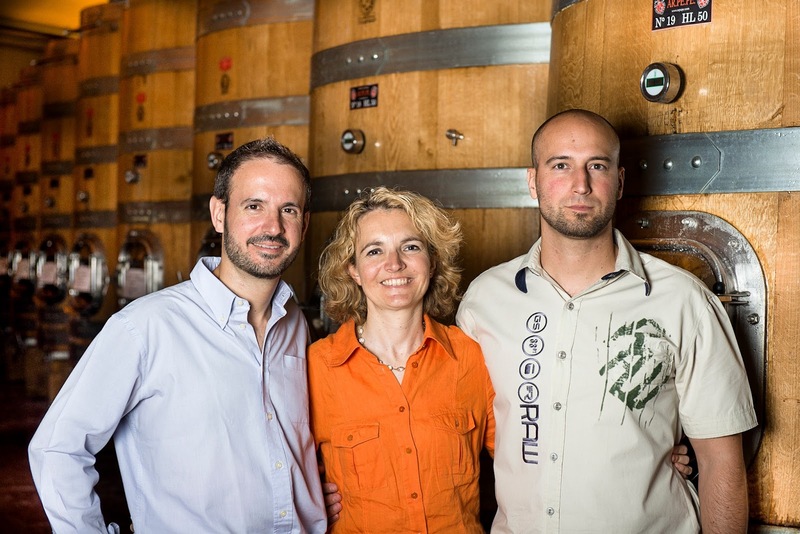 The Pelizzatti Perego family in the cellar of Ar. Pe. Pe. When I recently asked Isabella from Ar. Pe. Pe. how the wines were being received in the United States, she excitedly told me that the response "has been super," so I assume that a number of you out there follow the wines as closely as I do. If you are a Ar. Pe. Pe. fan, or if you'd just like to know more, you should definitely check out Isabella's interview on the podcast today. There are a ton of interesting details in there, starting with why the winery name is as it is, with those periods, and then moving on to those you might not expect (50 day skin maceration? no tractors in the vineyards? UNESCO World Heritage?). It is an information packed talk. Give a listen.